Korea”) infringed “Method for determining HDL concentration from whole blood or plasma,” Patent No. 7,087,397, which was issued by the U.S. Patent Office. PTS has also accused Defendants of federal unfair competition under the Lanham Act. PTS develops, manufactures and sells point-of-care diagnostic products for the human healthcare market. At issue in this Indiana litigation is PTS’s “CardioChek® Multi-Analyte Strip,” a hand-held, point-of-care testing system that can test for total cholesterol, high-density lipoproteins (HDL) and triglycerides with a single drop of blood. In August 2006, Patent No. 7,087,397 (“the ‘397 Patent”) was issued to PTS. PTS indicates that this patent includes a significant portion of the technology embodied in this Indiana invention. Defendant Infopia Korea has also developed a test strip that tests for total cholesterol, high-density lipoproteins and triglycerides. 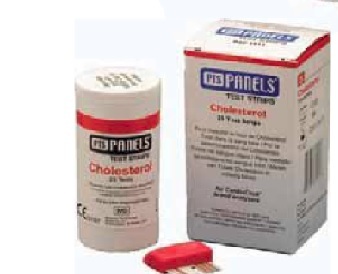 This system is branded as the LipidPlus Lipid Profile Test Strip. PTS contends that Infopia Korea imports the LipidPlus testing strip into the United States and that Defendants Infopia USA and Jant offer and sell the LipidPlus product in the U.S. market. PTS alleges that much of the technology incorporated into the LipidPlus testing strip is copied from PTS’s CardioChek product. It contends that the copied aspects include the concept of the testing strip itself, the analytes selected for analysis, the structure of the strip and the chemistries used. PTS also contends that Defendants have copied the trade dress of PTS’s CardioChek testing strip. PTS further accuses Defendants of offering the LipidPlus testing strip at a price that is both extremely low and below cost. • for a declaration that the case is exceptional and an award of attorneys’ fees. Practice Tip: The United States Supreme Court addressed the elements required for trade dress to be protected in Two Pesos, Inc. v. Taco Cabana, Inc., 505 U.S. 763 (1992). In Two Pesos, the Court held that, to establish a cause of action for trade dress infringement, a plaintiff must establish that (a) the design is non-functional; (b) the design is inherently distinctive or distinctive by virtue of having acquired secondary meaning; and (c) there is a likelihood of confusion. The suit was filed by David J. Hensel and Julie Smith of Pence Hensel LLC. The case was assigned to Chief Judge Richard L. Young and Magistrate Judge Denise K. LaRue in the Southern District of Indiana and assigned Case No. 1:14-cv-1317-RYL-DKL.